Like it or not, your landscape says something about you and your personality. Do you like what it is saying? If not, don’t let your landscape talk behind your backyard. Experts have tips for ways to create a landscape that matches your personality and tells the world, in green, who you are. Aligning your landscape and your personality is as much psychology as it is planting. “Creating a landscape that is both a reflection of its creator’s personality and pleasing to them is a relatively complicated process,” said Bryan Stoddard, director of Homewares Insider, a website for do-it-yourself homeowners. Landscape architect Francesca Sideris of Langlea Garden Design & Construction in the city of Brighton and Hove, south of London, looks for clues to a client’s personality in everyday items. “I take inspiration from the client’s home such as the type of artwork they have, their interior design style, ornaments or trinkets on display,” she says. “I notice the cups they drink from, the type of dog they have. The way they dress. The curtains! Several experts suggest that the place to start is by asking yourself some questions to help you see what your personality truly is. After all, how can you expect your landscape design to mirror what you can’t see? What turns you on most about being outdoors? Think back to your favorite memory of a yard. What stimulated you? The smell of fresh-cut grass? The sound of a brook? The laughter of a gathering of friends? Your answers to these questions will guide you toward which features in your outdoor space you want to include in your new landscape design, whether it’s a lush yard, a water feature, swimming pool or an outdoor kitchen and entertainment area. Openness to experience. Are you inventive and curious? Or more consistent and cautious? Conscientiousness. Are you efficient and organized? Or more on the easygoing and even sometimes careless side? Extroversion. Would you say you are outgoing and energetic? Or more of a reserved loner type? Agreeableness. Do people say you are friendly and compassionate? Or would challenging and detached come to mind? Neuroticism. You’re secure and confident? Or would sensitive and nervous be how you roll? This Ohio homeowner values entertainment and nature. Photo courtesy Ohio Valley Group. Now that you know your personality, start to bring it outdoors and brainstorm landscaping ideas. Whether you hire a landscape designer or do it yourself, find a way to translate your personality into specific design ideas. The source of landscape design ideas can be as easy as finding photos of what you like. Walk around the neighborhood with a camera. Collect them via sites such as Pinterest or Houzz. This homeowner’s design is built for evening entertainment. An extrovert would be happy with this design. Photo courtesy Ohio Valley Group. Do as much work yourself as you can. 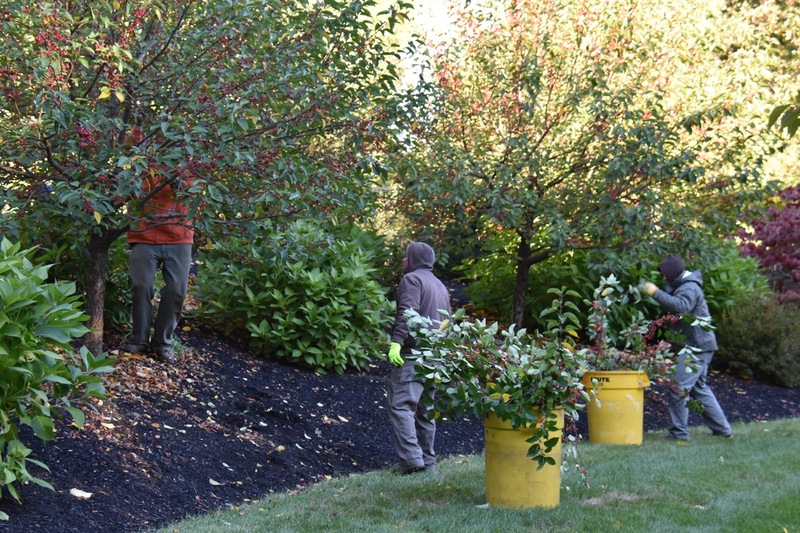 “Labor is usually the major cost in landscaping,” Solomon said. Be sure to address drainage so your landscape design doesn’t create costly water damage. Place trees and shrubs for shade to save energy. One more piece of advice from Solomon: You can take “personality” a step too far. Your idea of curb appeal may be an eyesore to your neighbors. Whatever your style is, enjoy it. The post How to Create a Landscape Design That Matches Your Personality appeared first on Lawnstarter. 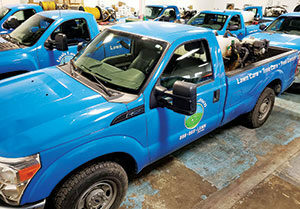 The post Keep on trucking: Maintaining lawn care fleets appeared first on Landscape Management. But for big leaps in mental health, the study suggests, stash the lawn mower and use your weekends on team sports. That’s because activities such as baseball, basketball, volleyball and badminton beat lawn mowing hands down, boosting people’s mental health about twice as much. The study was a massive one, incorporating self-reported data of 1.2 million Americans. The raw data came from a trio of surveys conducted in 2011, 2013 and 2015. The surveys were conducted by the U.S. Centers for Disease Control and included separate questions about mental health and exercise. Survey respondents told researchers whether they had ever been diagnosed for depression and whether they had suffered depression, stress or emotional problems in the past 30 days. They also volunteered information about their exercise habits — what they did to get their hearts pumping, and how often. The researchers from Yale and Oxford universities then compared the mental health of those who exercise against those who don’t. Different exercises offer different mental health boosts, the research found. Survey respondents named their favorite form of exercise. In all, they listed 75 different activities, highly strenuous to barely off the couch. The researchers consolidated the exercises into groups and measured the blues-fighting power of each. The bottom tier was the household activities category, which included lawn mowing, raking, gardening, carpentry, painting, child care, snow blowing vacuuming and dusting. The household activities boosted mental health by 11.8 percent. The post Lawn mowing improves mental health, a bit appeared first on Lawnstarter.